When I decided to offer tracking classes to Five Flags Dog Obedience Club members in January, I never imagined it would be so hot in February. When I decided to offer tracking classes to Five Flags Dog Obedience Club members in January, I never imagined it would be so hot in February. We met today at 10am when it was already in the 70’s. By the end of two hours the dogs were tired and we were sweaty and sunburned. Most of the dogs are running longer distances, up to 160 steps on straight tracks and some are still at the beginning. 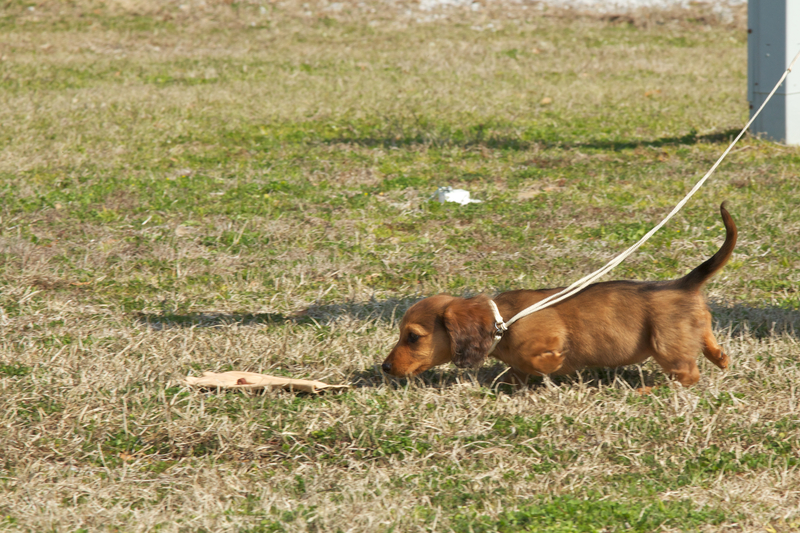 Rebecca Coale brought her new Doxie puppy to see if the dog showed any interest in tracking. As you can see from the picture we didn’t have a harness small enough for the little dog. Not a problem though and by next weekend I expect the dog will be properly attired. Many thanks to Mark Brown for taking pictures. Next time we’ll meet earlier and take a group shot so everyone can see the diverse breeds. This entry was posted in Dog training, Retirement Life and tagged dog obedience, Dog training, Florida. Bookmark the permalink. Melbourne, FL is quite a distance away from Pensacola. But there are numerous obedience training clubs in the greater Orlando area. 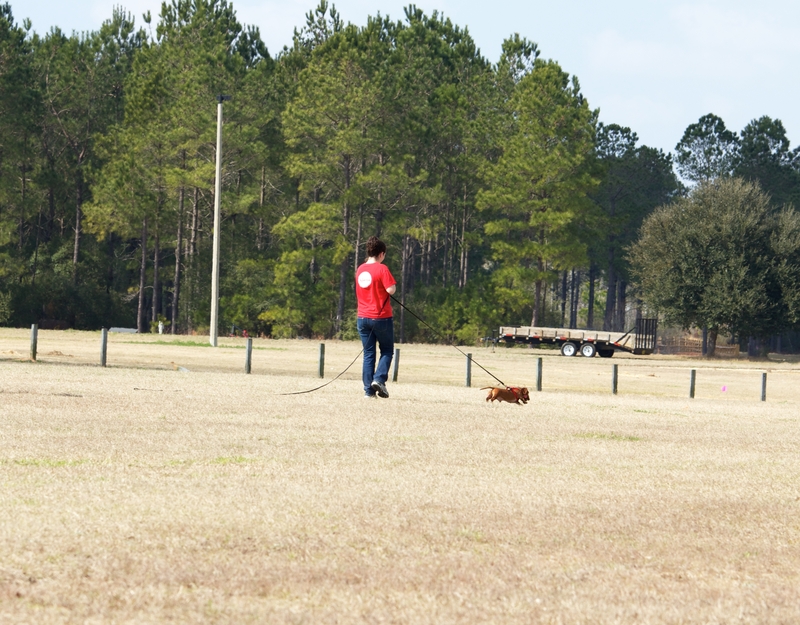 Go to http://www.akc.org, events, obedience trials-Florida and it will list the clubs having trials in Florida this year. From that list you can find obed training clubs. Good luck.